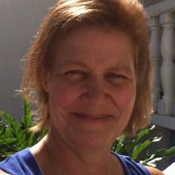 Mary Pugh Alligood has been a physical therapist since 1992, practicing in multiple settings including inpatient SCI rehabilitation and most recently home health care. She is deeply dedicated to her work, recognized by her patients and co-workers as a joyful and compassionate soul who radiates sunshine and hope. In October, 2010 she experienced a massive life threatening seizure, and was found to have brain cancer. She continues to remain loving and optimistic through her struggles and values the opportunity to share the challenges of her journey to help others. She resides in Naples, Florida with her two incredible sons. After nearly 20 years of clinical practice, physical therapist Mary Pugh Alligood finds herself reflecting on..